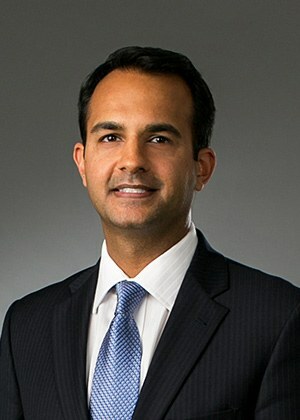 Dr. Sandhu is a board certified, fellowship-trained, foot and ankle surgeon. He joined the Irving Orthopedics & Sports Medicine team in 2014. While treating patients of all ages and a wide variety of foot and ankle disorders, he specializes in trauma and adult reconstructive surgery. Dr. Sandhu stays current with, and utilizes the latest advancements in foot and ankle surgery to help relieve your pain and get you back to your active lifestyle. Dr. Sandhu is proud to offer a variety of foot and ankle braces and supportive devices to help you walk out of our office with less pain and provide fast relief. Particularly interested in the treatment of ankle ligament sprains, Dr. Sandhu has developed a new surgical technique which has helped many patients get back to sports and activities much faster than traditional surgeries. Dr. Sandhu is a member of the teaching faculty for the Podiatric Residency Program at Hunt Regional Medical Center. He is regularly invited to both local and national meetings to lecture on various topics of advanced foot and ankle surgery. He is also active in research and his work has been published in peer reviewed professional journals. Plantar Fasciitis (Heel pain) Learn about the Tenex procedure! Achilles tendon and bone spur pain Learn about the Tenex procedure!